Built in 1926-27, this nine story building was the first skyscraper in Union County, and it was the tallest building in El Dorado at the time of its listing on the National Register of Historic Places in 1986. It was designed by the Little Rock firm of Mann & Stern, and is an eclectic mix of Venetian-inspired Revival styles. 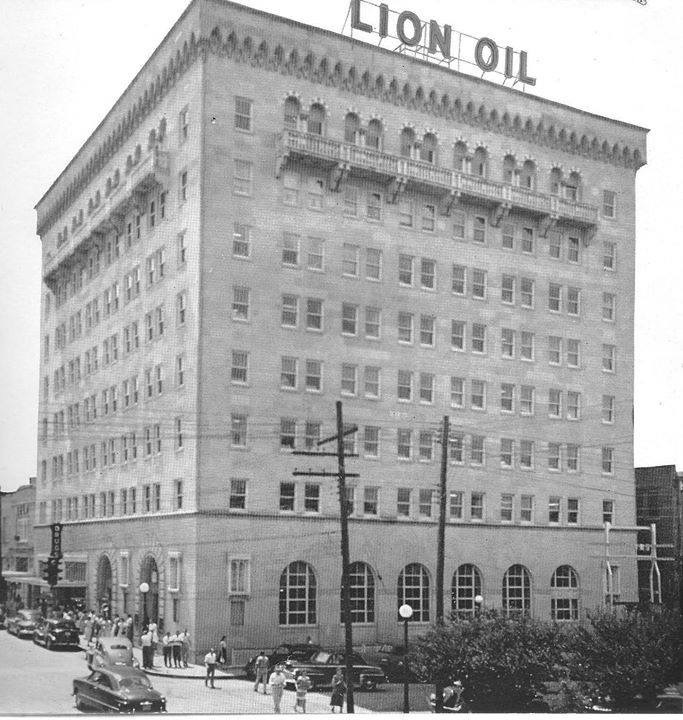 It was built during El Dorado's oil boom, and housed the headquarters of Lion Oil. Your donations will help keep history alive in El Dorado, Arkansas!